SWIRC has three science filters: Y-band (1.02 um), J-band (1.2 um), and H-band (1.6 um), plus a dark slide. 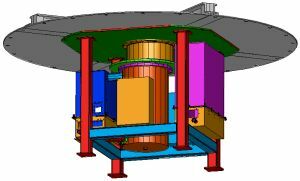 The instrument is based on a 2048x2048 pixel HAWAII-2 detector; its 0.15 arcsec/pixel plate scale fully samples the best seeing at the MMT, and provides a field of view of 5.12 x 5.12 arcmin. The user-interface operates under the MICE environment, similar to Megacam and other f/5 instruments developed at SAO.